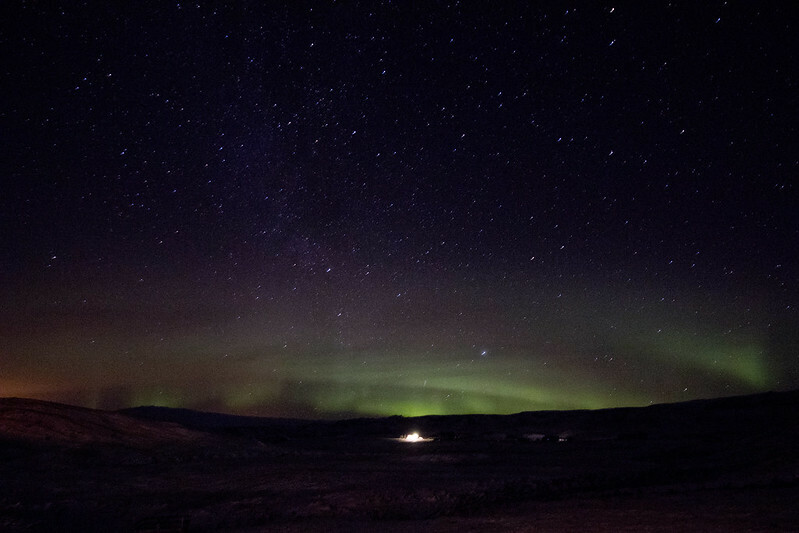 We stayed at the wonderful Solheimajaleiga farmhouse, which was a perfect place for northern lights spotting. Our room had a terrace overlooking the north, which meant we only had to run out into the cold when we saw anything. The next morning we went to Icelandic Horseworld for a couple of hours riding super fuzzy Icelandic horses. 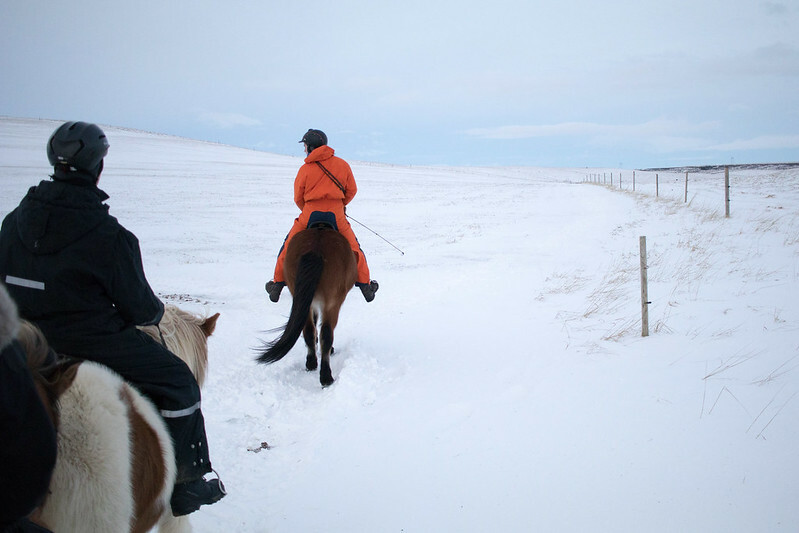 Icelandic horses have five gaits compared with the typical three that normal horses have and also grow longer fur in the winter. Our guide Heidi was extremely careful and took us riding in the area surrounding the stable. 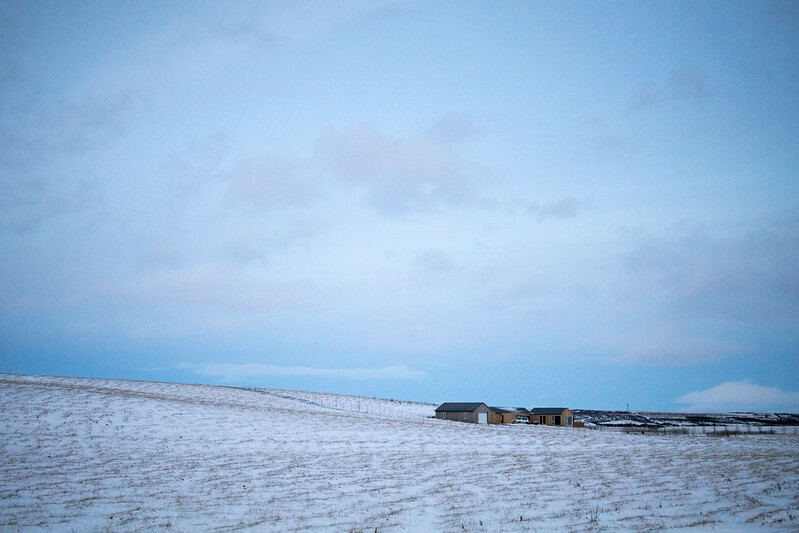 The wintry landscape was also incredibly beautiful; I have never seen a sky so blue. 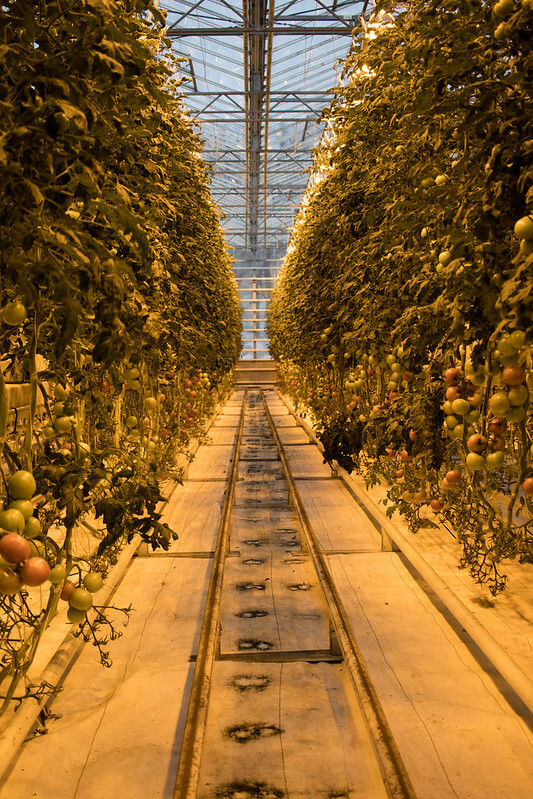 We were extremely hungry after the riding so we headed over to Fridheimar, a greenhouse that specializes in tomatoes. Their menu is fully tomato-based and extremely delicious. The restaurant is housed within the greenhouse and you might even get a few bumblebees flying around you while you’re eating. Our final stop was to the Secret Lagoon. It is not so secret but still not overcrowded, which was nice. They have all the facilities that you need and can even lend you a towel or a bathing suit. It’s very satisfying to run from the freezing cold into the warm lagoon. 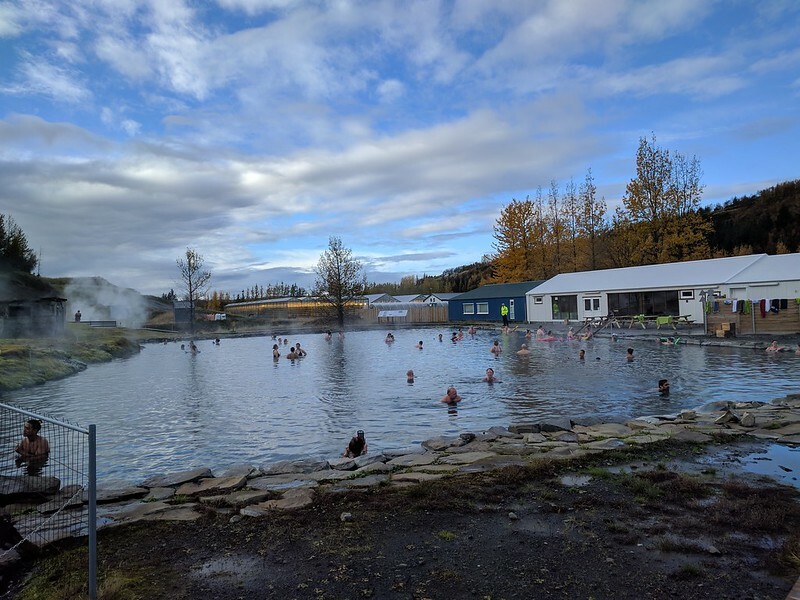 A tip for the very cold people who are reading, if you feel like the water is not warm enough you can move to the edges of the lagoon where the geothermal springs feed the pool. There it is plenty hot. That was it for our sightseeing but I had one more thing on my agenda before leaving. We stopped by Pulsuvagninn near the airport for an Icelandic hot dog. Icelandic hot dogs have the perfect amount of snap and I love mine with fried onions and ketchup. They are also the cheapest food you can get in Iceland and the perfect end to a weekend in Iceland.